There can be few comic operas as pleasing to the eye and to the ear as Don Pasquale. With its warm and bright Italian street scenes and lyrical arias, Donizetti’s celebrated work is reawakened by the respected Australian director Roger Hodgman, designer Richard Roberts and lighting whiz Matt Scott. The comic plot centres on Don Pasquale, an elderly miser, who takes it into his head to disinherit his uppity nephew Ernesto (in love with Norina) by marrying and producing an heir. He asks his doctor to find him a suitable match. A marriage contract is hastily drawn up by the cunning Dr Malatesta between Don Pasquale and Malatesta’s ‘sister’ (the disguised Norina). With the ink barely dry, the shy and demure bride begins to create so much havoc that the groom is only too happy to pay to get rid of her. And so ensues much merriment and misadventure until the time-honoured reversal of fortune at the end when Don Pasquale gives the young couple his blessing. Eye-catching designs, charming duets and amusing machinations blend harmoniously in a special treat for opera-lovers. The versatile ensemble stars the distinguished bass Conal Coad in the title role, soprano Rachelle Durkin, tenor Ji-Min Park and baritone Samuel Dundas. 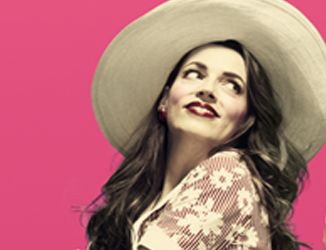 Don Pasquale is conducted by Guillaume Tourniaire, the former chief conductor of Prague State Opera. A co-production partnership with Tokyo Art Foundation and Opera Australia. Running time: Approximately two hours and 25 minutes including one twenty-minute interval.